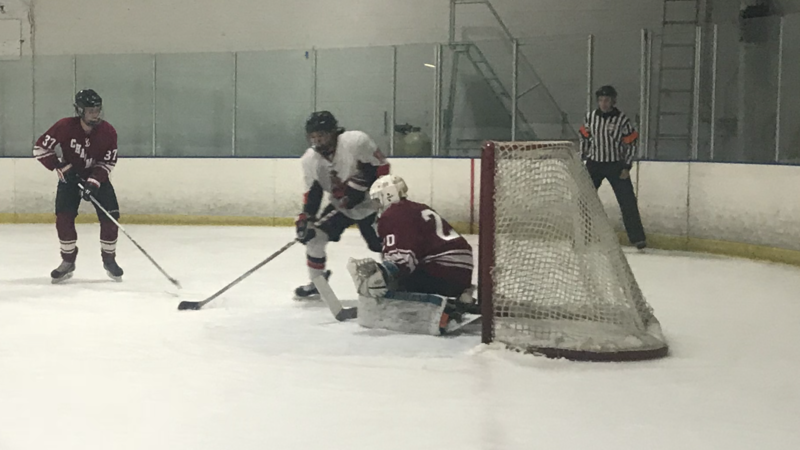 The Matadors retook home ice Friday night and shut out Chapman 15-0. Following a thriller two weeks ago against rival Long Beach State and having last week off for Thanksgiving break, a rested Matadors squad took it to a visiting and struggling Chapman University team. Nearly two minutes into the game, Eli Berengut opened the scoring affair. The Matadors pulled away quickly, and Berengut added his second, followed by goals from Quentin Abaya, Alex Reints and Tommy Pang. Matt Bushton had a career night and assisted on three of the five goals. Chapman showed fight in the opening minutes of the second, but the Matador onslaught continued. With an absent John Blascoe on the top line, head coach JP Gale added John Michael Laurin to the tandem of Berengut and Reints. CSUN added four more goals in the middle frame. Laurin scored both of his goals in the middle frame while Berengut scored an additional two, giving him four for the night. Up 9-0, every goal was crucial for CSUN to score because of the point system that determine playoff and ranking position. Cam Rorick got the Matadors to double digits, their first double digit scoring affair on the season. Riding an already three assist performance, Bushton recorded his first collegiate goal. Goal after goal came pouring down in the third period for the Matadors. Matt Hoover got back on the goal sheet, followed by Bushton’s second goal on the night. Quentin Abaya then recorded his second on the night while George Reznikov concluded the night by scoring his first collegiate goal. Berengut, Reints, Laurin and Bushton all finished the night with at least five or more points on the score sheet. The Matadors improved to 9-7 on the season and are riding a four game winning streak before entering the winter break. The Matadors will return to the ice when they travel and face off against Chapman again on Jan. 6.